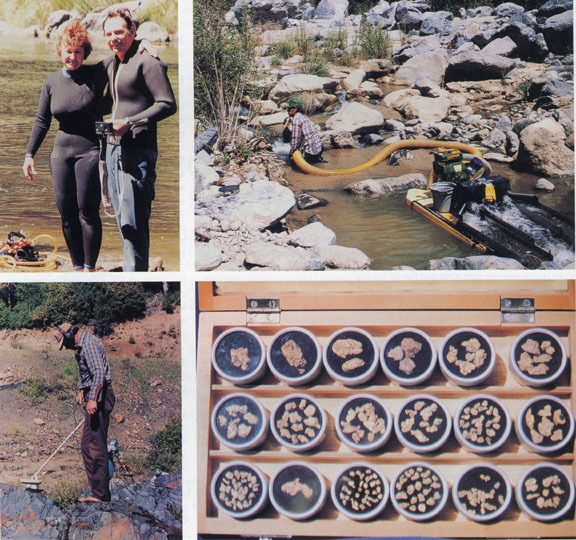 Retirement and finding that elusive gold is what Chet and Nancy Long have been working and saving toward for well over a decade. And while many people may have no idea of what they’ll do when retirement finally rolls around, these two new retirees are doing exactly what they enjoy the most…gold mining and nugget hunting together. Today their home is where the gold is, but it wasn’t always that way. Before they retired Nancy was an editorial typist for the Air Force Test Pilot program, and Chet was a civilian electronics technician, working on America’s Space program at Edwards Air Force Base in Arizona. “I got him a dry washer for a wedding present,” Nancy recalls. 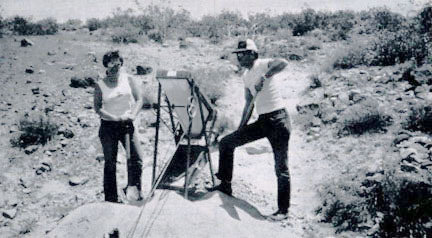 “Chet had gotten the gold bug after studying geology and anthropology at the college in Antelope Valley, and as soon as we started getting out into the desert and finding a little color, that was it, and we were from that moment on just destined to be gold miners and prospectors. Now that they’re retired, each new day holds a promise for Nancy and Chet Long an opportunity to live the life they’ve worked so long and hard to have. From their home in Yuma, Chet is able to make frequent trips out into his favorite nuggets hotspots, many with his dad, Chester Long, Sr., who’s now 88 years old and still finding his share of that elusive gold.